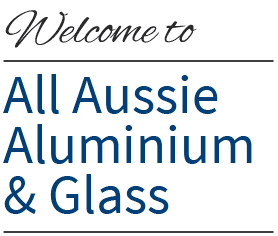 All Aussie Aluminium and Glass has one of the most extensive ranges of aluminium doors and windows available in Perth. Whether you are looking for the best aluminium doors and windows for Perth commercial or residential buildings or want a custom design solution, we have the experience and industry leading products to provide strength, durability and lasting value. All our products have been tested to Australian standards including NATA wind and water penetration, WERS certification and acoustic ratings. Our professional staff can guide you on the best products for your requirements ensuring you get strong, value for money, energy efficient window and door solutions. If you have any questions, please call us for a FREE consultation on 08 9309 5880. Aluminium doors and windows from Perth’s All Aussie Aluminium and Glass, with an extensive choice of systems, finishes and glass options, offers exceptional benefits. Easy Care – Low maintenance and durable, powder coat colour stays put without fading. Wash occasionally to showcase the product at its best. Contact All Aussie Aluminium and Glass today to get a quote for Perth’s best aluminium doors and windows. Experience the difference and get the benefits our products can make to your home. Telephone (08) 9309 5880 to speak to our friendly team or submit an online enquiry.